Wheatgrass is sprouted from the seed, technically called cotyledon, of the common wheat field plant but lacks gluten protein. Wheatgrass is consumed as a dietary supplement because it is highly nutritious. Compared to other greens, wheatgrass contains more protein, vitamin E and phosphorus that either broccoli or spinach. The powdered herb is often encapsulated, or added in small amounts to smoothies, soups and other foods. active compounds Vitamin C, Vitamin K, Chlorophyll, Nucleic acids, Antioxidants, Nitrosamines, Amino acids and trace minerals. storage tips Keep in a jar or other container with a tight-fitting lid. 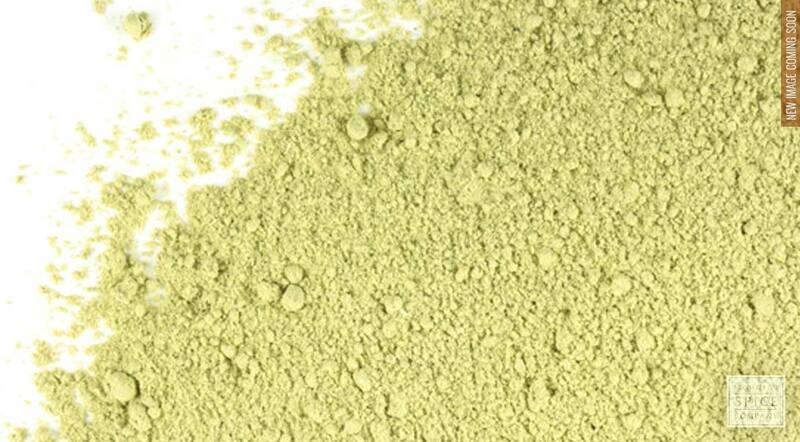 appearance & aroma Light green powder with a light, pleasant scent. culinary Add to smoothies, cooked cereals soups, stews, vegetable dishes and other foods. Wheatgrass powder is most commonly taken in capsule form. 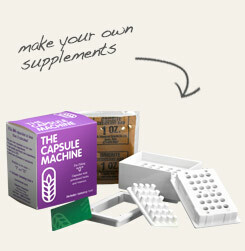 The Capsule Machine makes it easy to turn 1 tablespoon of powdered herb into 2 dozen dietary supplements. 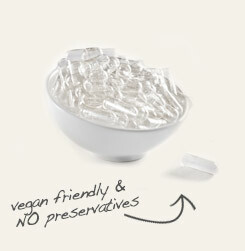 Avoid animal products and preservatives when you use these plant-based vegetarian capsules. Dried wheatgrass contains 47% protein, three times that of beef. Wheatgrass powder is the readily-available dried form containing the plant's valuable nutrient properties and has a reliable, extended shelf-life.